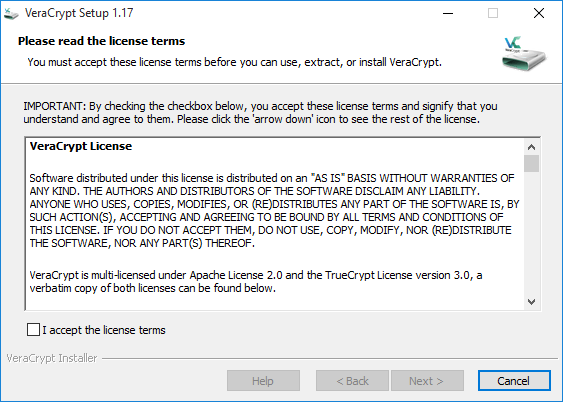 Use VeraCrypt (formerly Truecrypt), a free encryption package, to protect your private data. UEFI equipped computers:- VeraCrypt is not fully compatible with newer computers that use the new UEFI standard when initially starting up. UEFI is a replacement for the old BIOS software that has been helping PCs to boot up for several decades. If you purchased your computer within the last few years, it is likely that it uses UEFI to start up. If it uses UEFI, it must be set to legacy mode if you want to use full-disk encryption, however you can still use file containers (tutorial 2 and 3) with no issues. 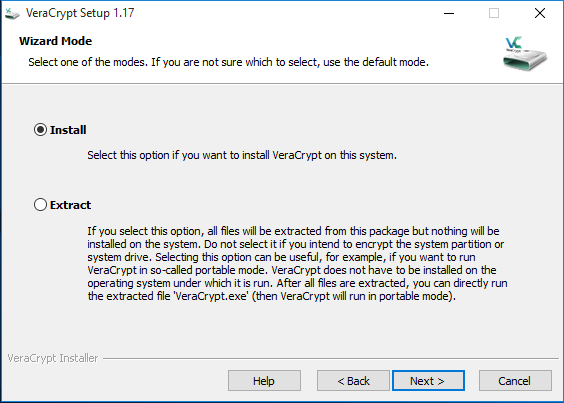 If you want to use VeraCrypt to protect private and sensitive documents on your Windows PC, this is the place to start. Now on version 1.17, these tutorials have been fully updated for this new sucessor to the legendary Truecrypt package. 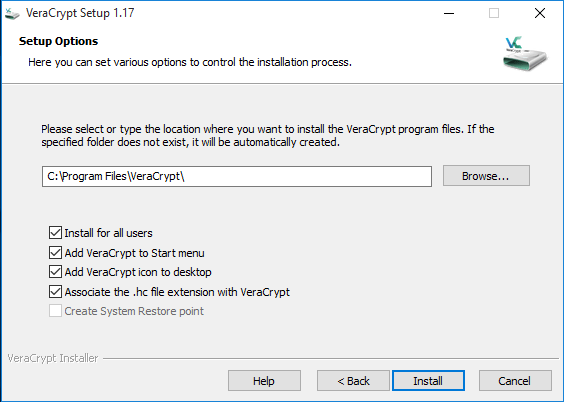 To install VeraCrypt, firstly, download the installation file from the official VeraCrypt homepage. Make sure you download the latest version for Windows, which should be the first download link on the page. Save the file to your desktop or somewhere where you can easily find it. Once the download is complete, double click on the file or choose “Open” or “Run” in your browsers download manager to start the installation process. Answer “Yes” or “Allow” to any User Account Control prompts that appear during installation. The following window will be displayed. Scroll down to read the license agreement. If you are happy with the terms and conditions, make sure to tick the box labelled “I accept the license terms” and click on “Next >” to move to the next window shown below. 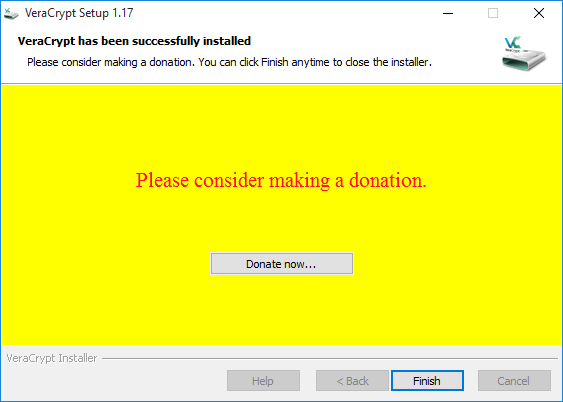 Make sure that the “Install” option is selected on this window and then click on “Next >” to move to the window shown below. Here you can decide where to install the program, as well as choosing to create short-cuts or a system restore point. Set up these options however you want or, if you are unsure, just leave them as the defaults and click on “Install”. There will now be a short pause while some files are copied, then the following window will appear. Click on “OK”. You will now see the window shown below. VeraCrypt is developed and maintained by volunteers, so if you have a few bucks to spare, do consider clicking the “Donate now…” button and leaving a donation. Click on “Finish” to finish the installation process. If you like, you can read the user guide now, but since we’ll be covering the basics in the next two tutorials, there’s no need to.